Welcome to Week in wearable, the place where we hone in on the biggest news stories from the past seven days and give you all the essential details. It's been another packed week in the industry, with details surrounding the Huawei TalkBand B5 and Magic Leap One revealed alongside the growing mountains of deals ahead of Amazon Prime Day. There's plenty more to catch up on through our dedicated news section, but for the three biggest headlines from the week gone by, voyage on below. 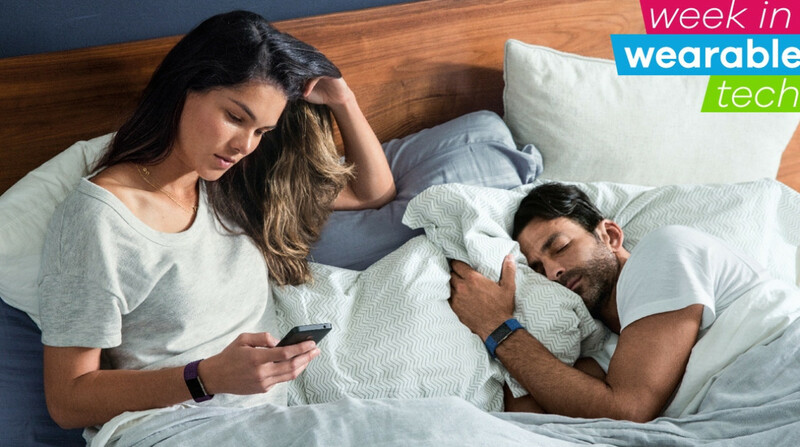 If you're a Fitbit user and have the Android version of companion app, you may have noticed some odd happenings on your smartphone this week. That's because the Fitbit app has been accidentally draining both user's data and power in the background, the company acknowledged to Wareable. The problem began when the fitness tracking giant spotted a bug and attempted to roll out a fix (version 2.74.1). That led to more users spotting the issue (which, for some reason, also doesn't disappear if background data is turned off), and now Fitbit has issued a further update (version 2.74.2) that aims to finally addresses the issue. Read this: What is the best Fitbit? We're able to take you through the steps needed to update if you jump over to our original story detailing the Fitbit smartphone data and battery drain issue, but, naturally, if the fix doesn't appear to have worked, it may be a good idea to temporarily uninstall the app from your phone. Rumours and speculation form a considerable part of the pre-launch process surrounding the Apple Watch, and this year is no different. We've already covered off a veritable tsunami of whispers surrounding what the Apple Watch Series 4 will look and play like, and now we have our latest details about the upcoming smartwatch. According to notorious Apple insider Ming-Chi Kuo, the next Watch is again set to come in two models, with both featuring much larger displays than what we've seen previously. According to the report, which also indicated that new AirPods are on the horizon, the smaller of the two new devices will offer up a 1.57-inch display, while the other houses a 1.78-inch display. We don't know whether this will see an expansion of screen size from the current 38mm and 42mm models, but, either way, we could be getting set for a noticeably bigger display on our wrist. If the Apple Watch is the wearable device we're currently seeing draw the most talk within the industry, the next Samsung smartwatch is a close second. There's been plenty of whispers about the Samsung Gear S4, though after trademark filings, hints in patents and, this week, a logo surface for the Galaxy Watch, it would now be a bit of a surprise if the smartwatch didn't take the latter moniker. Interestingly, though, while the recent focus has surrounded the name of the device, there's also been plenty of talk about its features. It's still unclear whether the next watch will run Tizen or Wear OS, and the most recent leaks have done nothing to clear that query up. Meanwhile, there's also speculation that the Gear S4 will be able to track blood pressure and feature an upgraded version of Bixby, Samsung's smart voice assistant, when it's apparently unveiled on 9 August.